If you were hurt in a car accident, work with a lawyer who can help you with your claim. That is where Anidjar & Levine comes in. Your car accident lawyer in Fontainebleau, FL, will work on your case and help you to either reach a settlement for your injuries or, if necessary, go to trial. We offer free consultations. When you call us, you will talk to one of our staff who will assess your case. Call the Law Offices of Anidjar & Levine today at 1-800-747-3733. All auto accident cases are different. With many years of experience, our Fontainebleau car accident attorneys will fight for you when you need it most – when you are hurt and vulnerable. We can also help if you lost a loved one in a car accident in Fontainebleau. A wrongful death lawyer can help your family navigate the legal system and fight for damages. This is not a complete list of recoverable damages. The value of your car accident case depends on the circumstances of your accident, your physical injuries, the emotional effects of your injuries, and your financial losses. Work with a personal injury lawyer who can investigate your case and identify all the damages you suffered, and then fight for a fair settlement or verdict. We will assess your case with a free consultation. We collect your police report, medical records, and any other documentation necessary to argue and negotiate your case. We regularly keep you informed of the progress of your claim. We try to reach a settlement or, if need be, take your case to trial. Can I afford to treat my injuries? How will I pay the bills while I’m unable to work? What if I can’t go back to work or have to find a new job? Should I fight for more money than the insurance company is offering? Let us handle the legal issues for you so you can focus on recovering from your injuries. 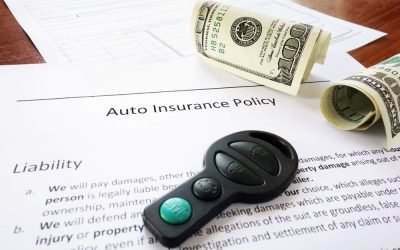 Every state has different insurance laws. Florida insurance laws make us a no-fault state. You may be compensated for your injuries if you were hurt in an accident, regardless of who was at fault. Florida law requires that you have $10,000 in personal injury protection (PIP) for medical bills and lost wages. If another driver caused your wreck, you may also qualify to file a liability claim against the at-fault driver. In that case, we must prove the other driver is at fault and liable for your injuries. A third-party liability claim may allow you to recover the full amount of your damages, so please call a car accident lawyer in Fontainebleau today. Florida’s statute of limitations is four years from the date of the accident, so act quickly before you lose your right to file a lawsuit. We work on a continency basis. This mean that if you do not recover compensation for your car accident injuries, we will not collect an attorney fee. If you were hurt in a car accident, call us today at 1-800-747-3733. We can help you fight for the compensation you need.